I am on a dinosaur kick! In the past couple of weeks, I have been re-watching the Jurassic Park movies while I work. It wasn’t until last week when I learned that they were making a fourth movie, and releasing the first in 3D! I guess I have a sixth sense when it comes to dinosaur related movies. The first movie, Jurassic Park proper, holds up really well. Not scientifically, of course, but as a thriller! It still creeps me out, and brings back memories of my siblings and I pretending to be raptors as children. I haven’t seen this movie in about 10 years; I remember always liking Jeff Goldblum and his character and now I understand why. 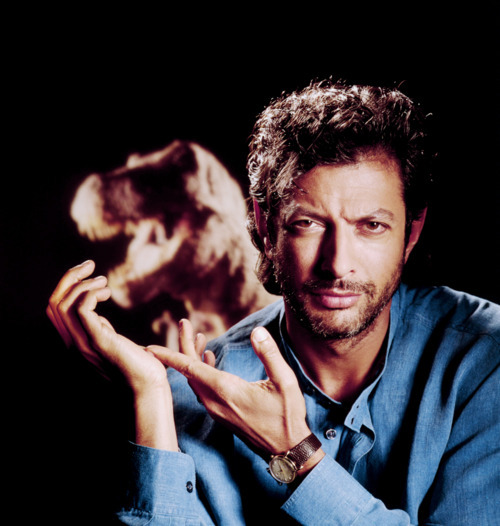 First off, Jeff Goldblum is fantastic and gorgeous. Secondly, his character, Dr. Ian Malcolm, is great – I find myself agreeing with everything he says. When talking with Hammond over dinner before the storm hit and everything went wrong, Malcolm says this “I’ll tell you the problem with the scientific power that you’re using here, it didn’t require any discipline to attain it. You read what others had done and you took the next step. You didn’t earn the knowledge for yourselves, so you don’t take any responsibility for it. You stood on the shoulders of geniuses to accomplish something as fast as you could, and before you even knew what you had, you patented it, and packaged it…” When I was younger I always thought of Malcolm as an instigator, but now, after studying science, I see him as a brilliant and ethical scientist. 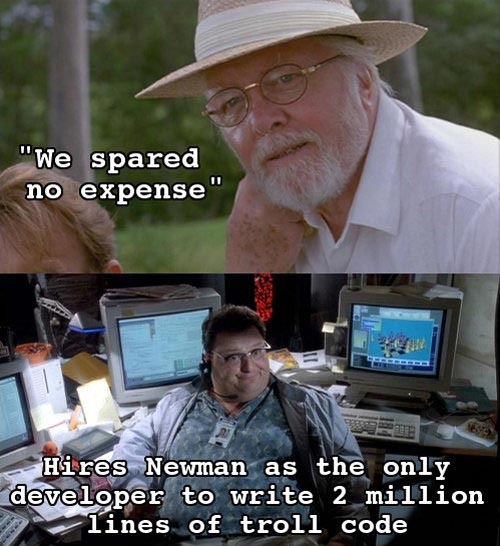 For the first time, I started to really dislike Hammond’s character, especially because he kept saying “spared no expense”, which I had never noticed before. Yeah, one programmer doesn’t really make sense. But it worked for the plot! 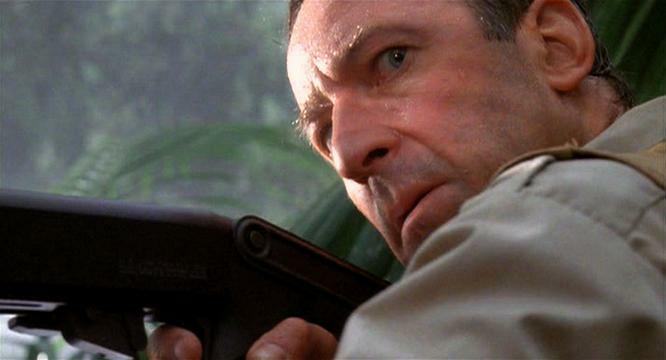 Either way, we all know the best part of the movie is when Muldoon says “Clever Girl” right before he is attacked by a raptor. I have decided to host a Dinosaur Themed BBQ sometime in the spring. I wanted to do it this weekend, but we keep getting snow storms so I mine as well put it off for a while. Also, I am working on a really cool project involving velociraptors that I should be able to post later this week! 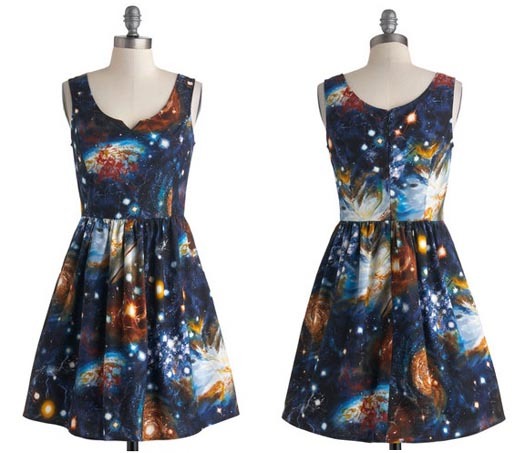 This weekend ModCloth added this amazing dress. I have been waiting for something like this for years, literally. I even tried making a space dress for myself once, but failed. 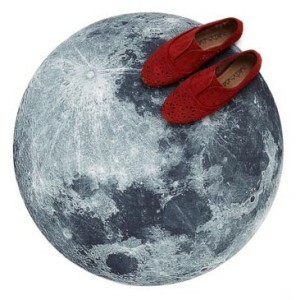 Anytime I found anything like this online, it was only in small sizes. Not only does this come in XL, but it has plus sizes as well. Also, this doormat was added yesterday. Thanks for being so awesome ModCloth!